I don't mean to brag, but being able to sew kind of makes me a rock star at baby showers. The new mom always seems so excited to have something hand made. For most baby showers I usually do a set of three burp cloths. On this set I am using some left over flannel and some cloth diapers I keep on hand for this kind of thing. Total cost to me? About an hour of my time, and about $1 per burp cloth. Obviously these are not complete, but I was wondering of anyone else has baby shower or other event go-to gifts. What are you making for quick gifts? I'd love a few good ideas before Christmas. Those are so adorable! Adding the names/intial was a good touch. ADORABLE.. know the mama was so happy to receive them.. I make the same things..I also do matching baby bids..so easy. 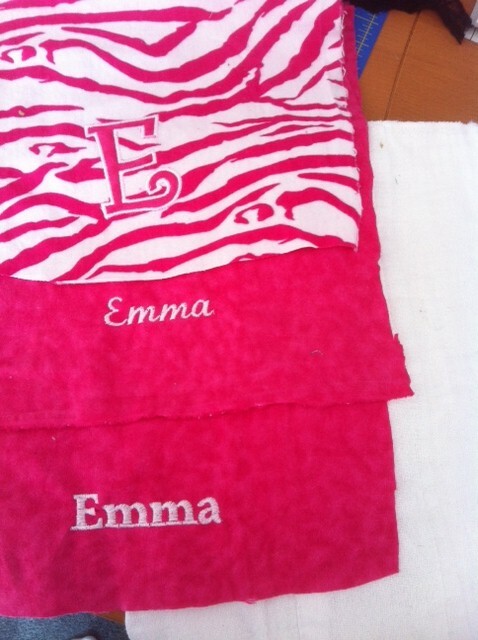 And I embroider to match my burp cloths.. [either baby's name or a cute little quoute] Happy sewing.